The estate department for the government of Uttar Pradesh desired to have an exclusive accommodation for ministers, Senior bureaucrats and officers employed by the government. 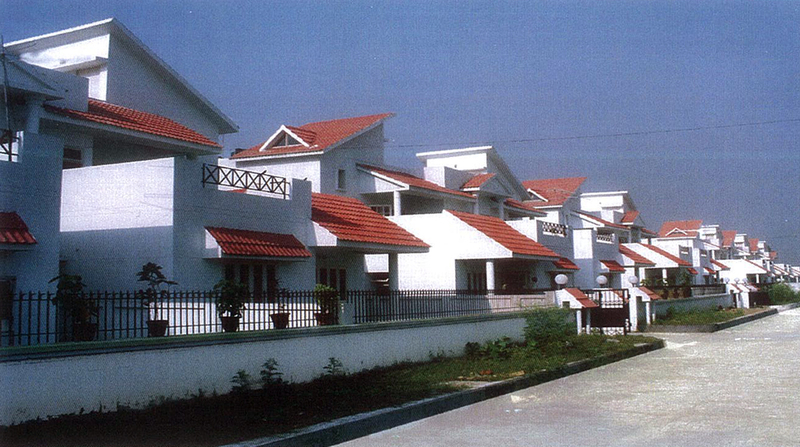 The prerequisite was to have a self-sufficient housing offering all basic amenities. 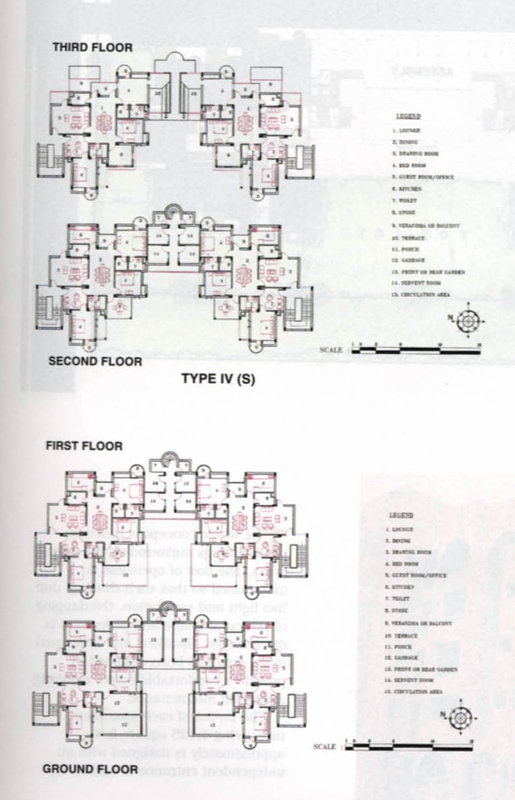 The housing has been divided into four types each having required privacy and easy accessibility. 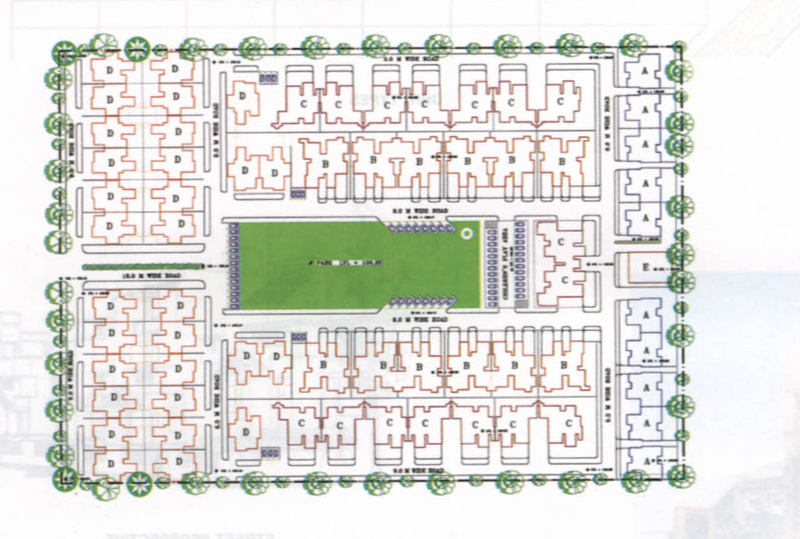 As soon as one enters the site, one encounters the Type VI comprising 30 units of the senior most officers, these units are made on the concept of duplex accommodation with a view to offering privacy and better quality of living. Other 150 units are in four-storeyed buildings arranged in accordance with the hierarchical Importance of the occupants. Though the units have been placed in four storeys no compromise has been done with the quality of space and all users have an adequate terrace of lawn facilities along with living space. The site has been given one entry and one exit in a way that it maintains the flow of vehicular traffic in a single direction and also serves security purposes.